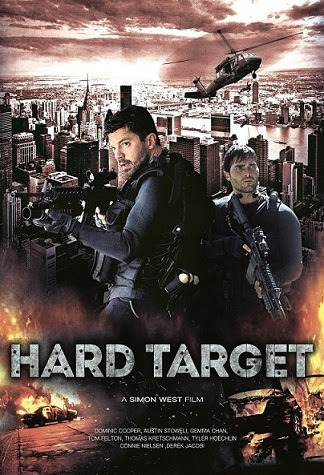 From Simon West, director of iconic action movies such as “Con Air,” “The Mechanic” and “The Expendables 2” comes “Hard Target” (aka Stratton), the latest non-stop action movie to explode in theaters on August 9. Based on the real-life heroic accounts of former Special Boat Service commando Duncan Falconer turned scribe, “Hard Target” is the first movie made from his eight-novel series. Members of the Special Boat Service (SBS) are trained individuals who are part of the UK Special Forces, they have been on active duty since its inception in 1940. “Hard Target” stars Dominic Cooper as John Stratton, one of the most resourceful agents of MI5. Stratton goes on a mission to infiltrate a laboratory complex in Iran to obtain deadly biochemical weapons. The complex mission goes sideways and his partner Marty (Tyler Hoechlin) gets caught in the crossfire resulting in his death. Back at headquarters, Stratton finds out that a former Soviet Union operative by the name of Barovski (Thomas Kretschmann) who was thought to be dead for the last 20 years, has gone rogue and plans to start a deadly terrorist attack as revenge with the stolen biochemical weapons. Stratton together with his team and Hank (Austin Stowell) a US navy seal trained by Marty goes all out to find, capture and prevent a terrorist attack in the United Kingdom. Cooper who started his career by playing the role of Sky in the 2008 film version of Broadway classic “Mamma Mia”, is not new to taking up roles that feature combat scenes, he played Howard Stark in “Captain America: The First Avenger”, and as Darcy in “Dead Man Down”. In an article by Deadline.com, Director Simon West sees “Hard Target” as his answer to the 007 series. “We’ve got Bond, who’s an institution. But we don’t have anyone else. I felt there was a gap for a British action hero that was an alternative to Bond. More gritty and realistic, but just as fun. “Hard Target” also stars Gemma Chan (“Sherlock”, “Jack Ryan: Shadow Recruit”), Tom Felton (“Harry Potter" movies), Olegar Fredoro (“The Wedding Video”), Derek Jacobi (“Gladiator”, “The King’s Speech”) and Connie Nielsen (“Wonder Woman”, “Justice League”). “Hard Target” opens in cinemas nationwide on August 9 from Axinite Digicinema.